Here are my top 5 blog posts of 2015! Any of these among your favorites?? 5. 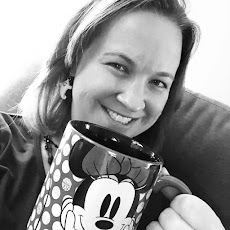 2015 Disney Social Media Moms Celebration - This was a highlight of my year! I felt like I learned so much from the wonderful presenters and speakers. A big "thank you" to BSM Media and the Disney Social Media team that organizes this event. It was due in part to their inspirational messages and powerful content that I saw the growth I did this year! 4. runDisney - Creating Me Version 2.0 - I was surprised at first that this was on my top 5 list. This was a pretty personal blog post about why I was training for a runDisney half-marathon and the ups and downs of my training. It meant a lot to me, but didn't realize that it would speak to so many others. I think everyone who runs, runs for their own reasons and regardless of where you are in your training journey, everyone experiences the highs and lows of training. 3. What is the Disney Parks Moms Panel? - This blog post could really have been one simple sentence - they are simply the most awesome vacation planning resource ever! The men and women who make up this panel are fabulous individuals who are genuinely enthusiastic and knowledgeable about all things Disney Parks. If you haven't visited them, be sure to check them out and submit any questions you have! 2. How to Organize Your Disney Vacation Plans - Even with the advent of My Disney Experience, I still rely on a good old fashioned table and some spreadsheets to make sure all of my plans line up the way I want. I'm happy that my ideas have hopefully helped others plan a magical vacation for their family as well. And drumroll please. . .
1. runDisney Wine & Dine 2015 - My first runDisney experience was fabulous, even though it was not the race I was expecting. I would highly recommend a runDisney race to anyone and literally cannot wait for the chance to participate in another one hopefully sometime soon!